I am still not over Disney's Cinderella. Lily James, who I actually didn't like for the role, was perfect for it! She has that perfect blend of goodness, kindness and yet she didn't seem like a doormat. Her Cinderella was cheerful even when she was sad, and she faced each day with hope even in the midst of her grief. Hope. Yes, courage, kindness, and hope. Lily's Cinderella radiated hope! And she was just enchanting as Cinderella, too. I told my Facebook followers that I wasn't breathing the entire time she was transformed by her fairy godmother, she met Prince Kit, she danced with him, and she fled for home, hounded by the clock. I only started breathing again when she was walking in the rain! 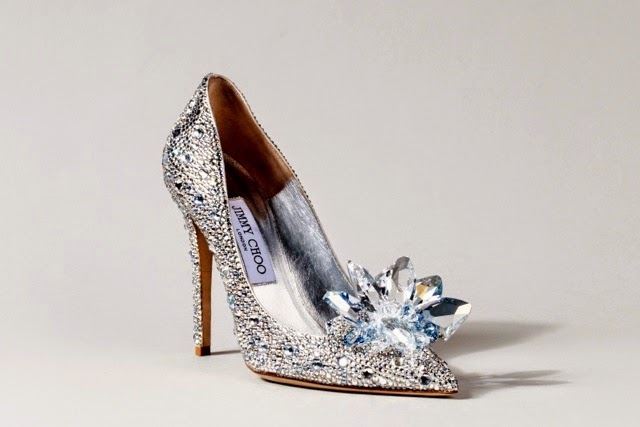 Now I'm not breathing again because I just saw the shoes Jimmy Choo made for Lily. She wore these at the global premiere of the movie at the 65th Berlinale International Film Festival. Grabe lang nasilaw ako sa ngiti ni Prince Charming! Robb Stark cleans up well! 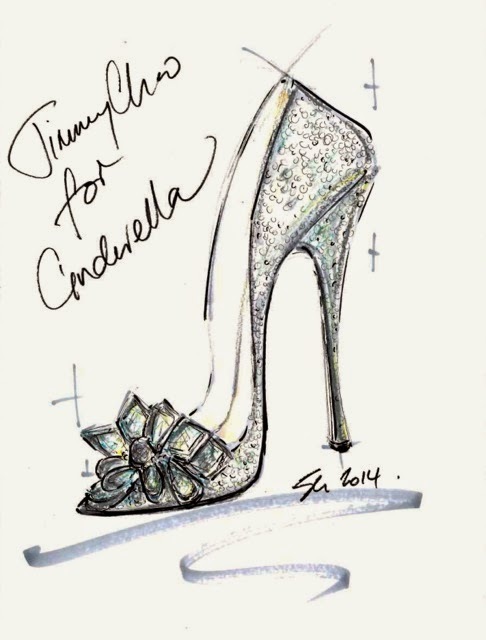 To promote the film, Disney partnered with some of the world’s premiere department stores (in New York, Beverly Hills, London, Tokyo, Dubai, Beijing, Italy and Moscow) to feature the ultimate Cinderella shoe from the world’s top shoe designers. The one we see here is from Jimmy Choo and I hope to see the rest! The shoes will be promoted both with a dedicated window and an in-store display. Here in the Philippines, we sadly won't see any special Cinderella shoe creation but we can still shop for fab shoes at Jimmy Choo boutiques at Rustan’s Makati and Shangri-La Plaza East Wing. Visit www.ssilife.com.ph for more information. 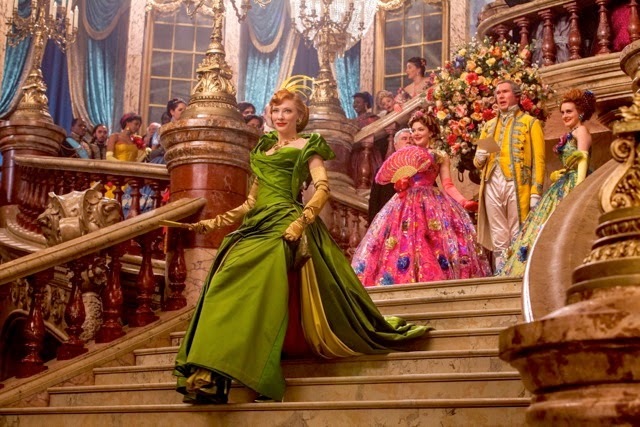 Salvatore Ferragamo was in charge of Lady Tremaine's shoes in the movie. So chic! You can just see a hint of her green heels. Leather lace-up boots are so villainous! Ferragamo is also available here at Rustan’s Makati, Rustan’s Shangri-La, Greenbelt 4, Power Plant Mall, Newport Mall and Alabang Town Center. I hope they're selling that boot!